Your privacy is important to us. This privacy statement explains the personal data Pest Control Insulation, LLC (herein referred to as “PCI”) collects and processes about our clients and use it to provide our services. PCI offers products and equipment to support programs designed for pest management professional and insulation contractors nationwide. 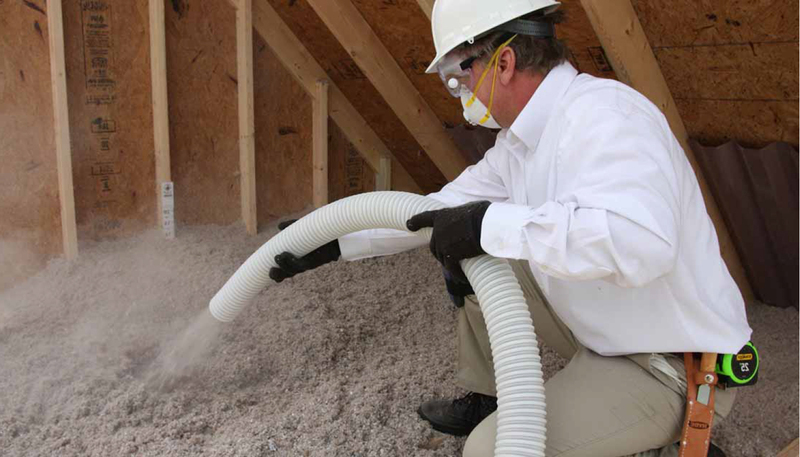 These products are for use in a home to provide comfort from pests which typically invade and provide structural damage to the home as well as protect health risks for the home’s occupants. References to PCI products in this statement include PCI services, websites, apps, servers, devices, and equipment. PCI is committed to protecting your privacy. The information you share is used to provide better service with PCI. We use it to invoice and bill you and send notices about your account, special promotions, and timely news as well as update you on our products and services. We do not sell, trade, or rent your personal information to third parties. If you would like to discuss how we use your information, please contact us. This statement applies to all interactions PCI has with you and the PCI products listed below, as well as other PCI products that display in this statement. We rely on a variety of legal reasons and permissions (“legal bases”) to process data, including with your consent, a balancing of legitimate interests, necessity to enter into and perform contracts, and compliance with legal obligations, for a variety of purposes described below. Services that make user-generated content from their service available to others, such as local business reviews or public social media posts. Communication services, including email providers and social networks, when you give us permission to access your data on such third-party services or networks. Developers who create experiences for PCI products, such as Red Clay Interactive, Echo Global Logistics, UPS, FedEx, Authorize.net, Word Press, Woo Commerce. You have choices when it comes to the technology you use and the data you share. When we ask you to provide personal data, you can decline. Many of our products require some personal data to provide you with a service. If you choose not to provide data necessary to provide you with a product or feature, you cannot use that product or feature. Likewise, where we need to collect personal data by law or to enter into or carry out a contract with you, and you do not provide the data, we will not be able to enter into the contract; or if this relates to an existing product you’re using, we may have to suspend or cancel it. We will notify you if this is the case at the time. Where providing the data is optional, and you choose not to share personal data, features like personalization that use such data will not work for you. By using PCI services, you consent to our use of your personal and non-personal data as specified above. PCI reserves the right to change this agreement at any time for any reason, with notification outlined below. This Site is not directed toward individuals under the age of eighteen. We do not knowingly collect personal information from individuals under 18. PCI has no intention of collecting personal information from individuals under the age of 18. If a child has provided us with personal information, PCI asks that a parent or guardian of the child contact us if they would like the information submitted by a child deleted from our database. PCI will use reasonable efforts to delete such information from its database. More child privacy and the Internet information can be found on the Federal Trade Commission’s website. For additional information, click here. Provide our products, which includes troubleshooting and providing support. It also includes sharing data, when it is required to provide the service or carry out the transactions you request. Improve and develop our products, online experiences, and support interactions. Make recommendations for additional products/services for you based on your purchasing habits with us online or directly. Advertise and market to you, which includes sending promotional communications, targeting advertising, and presenting you with relevant offers. We also use the data to operate our business, which includes evaluating our service, developing our workforce, conducting research, and meeting our legal obligations. When we process personal data about you, we do so with your consent and/or as necessary to provide the products your use, operate our business, meet our contractual and legal obligations, protect the security of our systems and our clients, or fulfill other legitimate interests of PCI. When we process personal data about you, we do so with your consent and/or as necessary to provide the products your use, operate our business, meet our contractual and legal obligations, protect the security of our systems and our clients, or fulfill other legitimate interests of PCI. In carrying out these purposes, we combine data we collect from different contexts (for example, from your purchasing profile) or obtain from third parties to give you a more seamless, consistent, and personalized experience, to make informed business decisions, and for other legitimate purposes. Product improvement. We use data to continually improve our products, including adding new features or capabilities. Product development. We use data to develop new products. Customer support. We use data to troubleshoot and diagnose product problems, repair clients’ equipment, and provide other client services and support. Updates. We use data we collect to develop product updates. Promotional communications. We use data we collect to deliver promotional communications. You can sign up for email newsletter subscriptions and choose whether you wish to receive promotional communications from PCI by email, physical mail, and phone. For information about managing your contact data, visit My Account. Relevant offers. PCI uses data to provide you with relevant and valuable information regarding our products. We analyze data from a variety of sources to predict the information that will be most interesting and relevant to you and deliver such information to you in a variety of ways. Advertising. PCI does not use what you say in email, phone calls, or voice mail to target ads to you. We use data we collect through our interactions with you, through some of our products, and on third-party web properties, for advertising in our products and on third-party properties. We may use automated processes to help make advertising more relevant to you. Transacting commerce. PCI uses data to carry out your transactions with us. For example, we process payment information to provide customers with product and use contact information to deliver goods purchased from the PCI Online Store. Reporting and business operations. PCI uses data to analyze our operations and perform business intelligence. This enables us to make informed decisions and report on the performance of our business. Protecting rights and property. PCI uses data to detect and prevent fraud, resolve disputes, enforce agreements, and protect our property. Legal compliance. PCI processes data to comply with law. We share your personal data with your consent or to complete any transaction or provide any product you have requested or authorized. PCI is a distributor of products and equipment manufactured and distributed by third party vendors. We share data with PCI-controlled affiliates and subsidiaries; with vendors working on our behalf, when required by law or to respond to legal process: to protect our clients; to protect lives; to maintain the security of our products; and to protect the rights and intellectual and physical property of PCI and its customers. Please note that some of our products include links to products of third parties whose privacy practices differ from those of PCI. If you provide personal data to any of those products, your data is governed by their privacy policies. Whether retention is advisable in light of our legal position (i.e., applicable statutes of limitations regulatory investigations, or other legal matters). PCI is committed to taking reasonable steps to ensure the security of your information. To prevent unauthorized access, maintain data accuracy, and ensure the appropriate use of information, we have put in place appropriate physical, electronic, and managerial procedures to safeguard and secure the information we collect online. We have administrative, physical and technical controls to safeguard it; We train our employees on the importance of protecting it. Your credit card security is our highest priority. PCI utilizes Secure Sockets Layer (SSL) encryption, an advanced encryption technology that protects the information you send us against unauthorized access. This safeguard has helped, in many cases, to make shopping on the Internet significantly safer than using your credit card in a retail store or restaurant. With a PCI account, you can sign in to PCI platforms. Personal data associated with your PCI account includes credentials, name and contact data, payment data, device and usage data, and your interests and favorites. Signing in to your PCI commerce account enables personalization and consistent experiences across products and devices, allows you to make payments using payment instruments stored in your E-commerce account, and enables other features. When you create an account tied to your email address, personal or professional, to obtain discounts on ordering quantities and frequencies or to be assigned a pricing structure based on your organizational relationship as a client, it is called an e-commerce account. When you are granted access to resources, videos, downloads, and literature stored on our approved client Member Support Site, it is called a Member Site account. Member Site account usage, login history, and download activity is monitored for evaluation and improvement processes and can be revoked or paused based on inactivity or gaps of three months or more in purchasing behavior. Member Site access is granted to customers of PCI who make regular and specific purchases of TAP® Pest Control Insulation. Note: If you sign into a service offered by a third party with your PCI account, you will share with that third party the account data required by that service. Feedback from customer, regulators, industry, or other stakeholders. Changes in our data processing activities or policies. When we post changes to this statement, we will revise the “last updated” date at the top of the statement and describe the changes on the Change History page. If there are material changes to the statement, such as a change to the purposes of processing of personal data that is not consistent with the purpose for which it was originally collected, we will notify you either by prominently posting a notice of such changes before they take effect or by directly sending you a notification. We encourage you to periodically review this privacy statement.